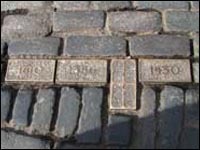 Brass plates embedded into the cobbles west of St. Giles in Parliament Square, marks the site of the Old Tolbooth Prison. 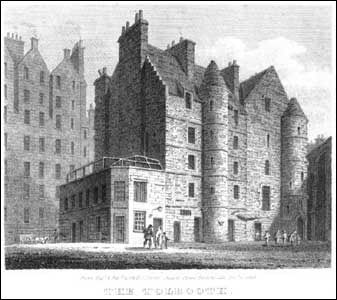 The 400 year old building was demolished in 1817, having served as a boothe for collecting tolls, a council chamber, a court house and squalid prison. Prisoners were executed usually by hanging from the gallows on the site now marked with the Heart of Midlothian.